Included below are homes for sale in South Park. If you would like more information on any of these South Park real estate listings, just click the "Request More Information" button when viewing the details of that property. We can provide you with disclosures, past sales history, dates and prices of homes recently sold nearby, and more. And, if you haven't already, be sure to register for a free account so that you can receive email alerts whenever new South Park houses come on the market. 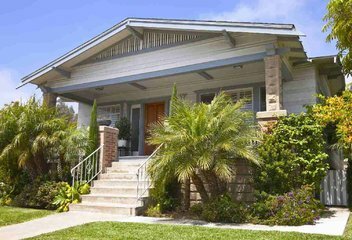 When searching for South Park San Diego homes for sale you will find South Park is a historic San Diego neighborhood east of Balboa Park, northeast of Downtown San Diego between North Park and Golden Hill. The South Park community has three annual events Walkabout, Luminaria, and Old House Fair. The South Park Walkabout is held quarterly highlighting both the south and north end of the South Park business district. Each June South Park's Old House Fair includes a Historic Home Tour, arts and crafts, pet adoption, food, and entertainment. Luminaria a South Park Holiday celebration begins each year mid-November with a Community Tree lighting to New Years Day. Edgemont Mews is an eight unit townhome community located on Edgemont Street and was built in 1986. The townhomes are three stories with three to four bedrooms, garage, fireplace, private patio, and deck. Park Hill Townhomes is a thirteen unit townhome community located at 2761 A Street and was built in 2005. The townhomes are three stories with two to three bedrooms, attached garage, fireplace, private patio, and in-unit laundry. Homeowners association fees include water, trash, common area maintenance, and landscaping. South Park Villas is a seven unit condominium community located at 3055 Ivy Street and were built in 1981. The condos are single story with two bedrooms, fireplace, and in-unit laundry. Homeowners association fees include water, trash, common area maintenance, and landscaping.